Designed for the Nintendo Switch, Super Chariot is a 2D platform game that can be played through to the end in either solo or co-op mode. You play as either the brave Princess or her faithful fiancé in a subterranean fantasy adventure... Maneuver the wheeled coffin of the dead King through 25 levels and 5 colorful environments, trying to ignore the incessant insults of the King's ghost. With original game play and an innovative physics engine, hours of exciting exploration, hair-raising sliding sequences and mountains of treasure lie ahead! 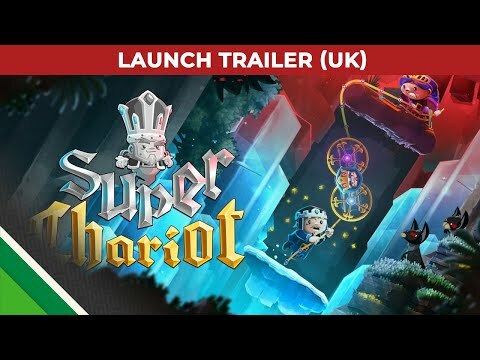 Super Chariot was released on Switch 344d ago in the US and the UK. Notify me when Super Chariot is available.